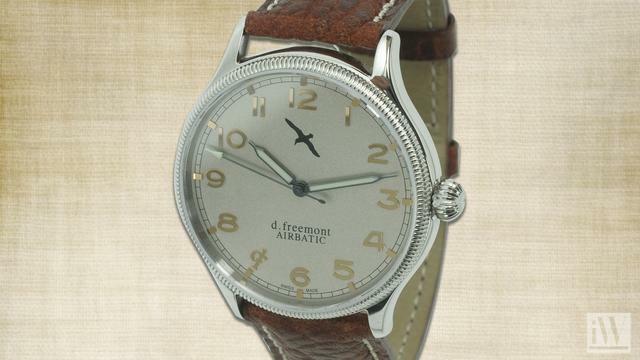 The Swiss are legendary craftsmen... all d.freemont watches are Swiss made in truth and by definition. There are many component manufacturers supplying the watch industry in Switzerland, and the choice of suppliers is in the hands of the designer; although, all Swiss components and craftsmanship are at least the best the world has to offer. We, at d.freemont, go a step further to seek out only the finest. Our reputation is important and we share pride in your selection of a d.freemont watch. iW Magazine's Watch of the Day is the D.Freemont Airbatic.